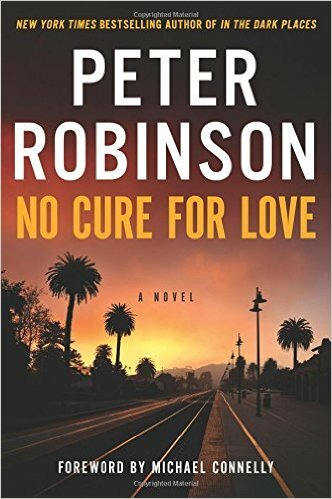 No Cure for Love by Peter Robinson was originally published in 1995 but was reissued on February 16, 2016, in Hardcover and Trade Paperback by William Morrow. The reissued version includes a forward written by author Michael Connelly. Peter Robinson has been on my radar to try his Inspector Banks novels, but I couldn’t pass up a story about a television star in Los Angeles with a deadly stalker. 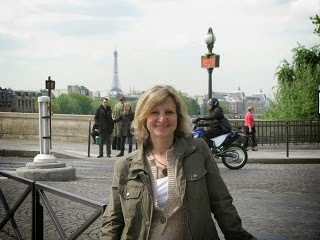 Sarah Broughton is a British actress living in California and starring in a popular TV cop show. She has had a somewhat checkered past prior to becoming a star, but has gotten her act together, changed her name, and risen to the top. She is troubled when she starts receiving mysterious letters by a crazed fan, who signs the, only with the letter “M.” Sarah doesn’t think there’s anything to worry about until the letter writer refers to her as Sally, her old name. When she stumbles upon a body on the beach near her house and sees “Sally” written in the sand she really starts to get spooked. LAPD Detective Arvo Hughes handles cases concerning overzealous, Hollywood stalkers. He originally doubts that Sarah’s letter writer is dangerous, but when she discovers the body on the beach, things take a different turn, and Arvo starts to dig into the actress’s past to see who might be overly attached to the star. He finds out the events that led Sarah to not only get clean but to change her name and leave her previous life. Arvo feels that Sarah’s stalker is someone from her past, but it’s not clear if he can figure out the person’s identity before the stalker carries out the threats promised in the letters. This book was a great story of fame and the obsessions that it creates. I enjoyed the meticulous unraveling of the clues as Arvo investigated the crime. It’s the writer’s job to make a flawed character appealing to the reader, but it is not an easy task. Robinson managed to paint Sarah as she truly was, but in such a way that the reader was willing to accept her flaws and still stand in her corner and want her to prevail. I’m still looking forward to the Inspector Banks series, but am thrilled that Robinson’s standalone novel was so entertaining. It ensures that I can’t go wrong by continuing to read this author’s work. Great recap Kerry as I also read this book. I totally agree with you about Sally.